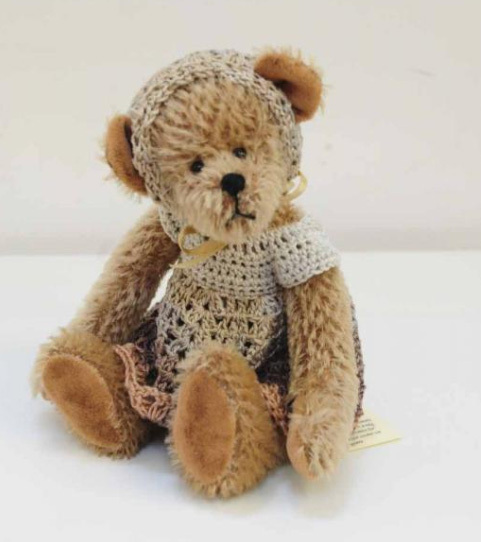 Que-Sera Bears are handmade with love by Valerie in the heart of Suffolk. The bears are all individual, no two exactly the same. Having made porcelain dolls for many years and gaining a 1st at the London Doll Fair, Valerie decided to design a little bear and she has now been making them for 15 years. The bears are all handcrafted in 100% English and German mohair, with ultra suede paws, fully jointed and English glass eyes. Some are just Bear, while some are in outfits designed especially for each one, hand knitted or crocheted in quality wools and cottons. They are a cuddle with four paws on and the smiles on peoples' faces while shopping at the Craft Centre is rewarding. 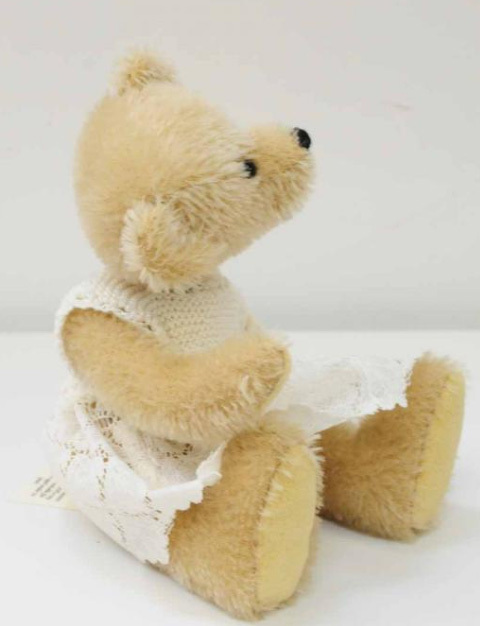 The teddies are collectors items and not suitable for children under 14 years due to small parts.